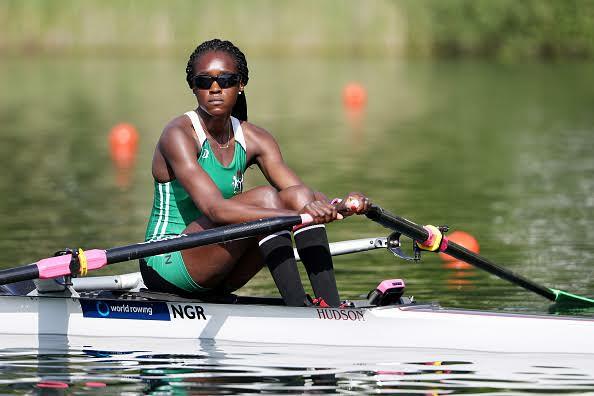 Chierika Ukogu's dreams of winning an Olympic medal has ended after the US-based Nigerian came fifth in the quarter-finals of the boat rowing event at the Rio 2016. Despite historically qualifying for the semi finals of the competition, she won't be competing for medals at the event. The C/D rounds are just for ranking and she'll be competing just for ranking with three other quarter finalists. Go girl, we are still proud of you!